Your credit score, as private credit-monitoring companies compute it, reflect your ability to repay your debts. The more credit-worthy you are, the lower your finance charges get. We've summarized the top factors that affect your credit score, the best ways to improve it and overall - how to get a great credit score? Maintain a good credit is not a simple task and sadly, many get caught up in the many myths about how to do it. You don’t have to chalk up a lot of credit card bills and definitely, you don’t need to fill your wallet with so many cards. Your credit score, as private credit-monitoring companies compute it, reflect your ability to repay your debts. This is the rule: the more credit-worthy you are, the lower your finance charges get. Your ‘FICO’ score is direct to the point: the higher it is, the more you are like to swing a lower finance rate. There are five main factors you have to remember when dealing with your credit score: payment history, credit indebtedness, time in file, the pursuit of new credit and credit use (mix of credit). 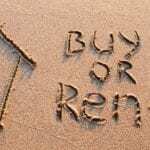 The bottom line is simply this: Lenders are trying to figure out whether you can pay them back in a timely fashion if they decide to lend you some money. You have filed for bankruptcy – then, they will go back ten years into your history. Student loans – if you’ve been delinquent, it will haunt you. This exception to the seven-year rule never drops off from your credit report. The only legitimate way to have that speck removed is to pay the loan back in full. And make sure that the collection agency notifies the credit bureaus that you’ve settled the loan, this from CreditSesame.com’s Ulzheimer. When you’ve missed payments, they will be points against you, but will not be so significant if they’re small and ages ago. Your best solution is to always pay your bills on time. When we talk of credit indebtedness, we refer to the kind of debts that you currently have and how much they are in total. It’s also important because it impacts 30% of your score. There are actually two kinds of credit – installment credit and revolving debt. The first refers to big lump sums you borrowed and are slowly paying off such as student loans and home mortgage. The second is a debt you incur on a regular basis, a good example of which would be your credit card. What lenders are looking for is that your debts are at a manageable level and you’re using it responsibly. So, if you have a $300,000 mortgage, a $40,000 student loan, $7,000 card balance out of a $10,000 limit, that’s quite a heavy debt load for an individual. Do not expect to get a high credit score given this information. Here’s a fact: the FICO score scale carries 300 on the low end and 850 on the high end. You might be wondering: does anybody ever get a perfect score? Fair Isaac Co., the developer of the highly secretive FICO score, reveals that only one out of nine Americans get a FICO score of 800 or higher. And get this: only 1% gets a perfect credit score of 850. Statistically, one out of 100 doesn’t exactly sound like an ideal ratio if you’re looking for perfection. In truth, a perfect credit score is actually a lot easier to achieve than you probably realize. Early this month, I checked my FICO credit score and it was a surprise to see it proudly standing at 849. Can you imagine: one point away from a perfect score? I paused to think about what I’d done extraordinarily that it pushed my credit score to its lofty pedestal. I came to a striking realization – I didn’t do anything particularly earth-shattering. All I did was follow five relatively simple strategies and maintained financial self-discipline. These were enough to land me a near perfect credit score. This is non-negotiable. The biggest factor in achieving a perfect credit score is your track record of paying your bills on time. Paying on time (or earlier) demonstrates to your lenders that you are trustworthy with future loans. They may even give you a lower lending rate down the road. In practice, lenders would jockey each other for the business of customers with the higher credit scores. This will provide you with a better leverage to negotiate for a more advantageous interest rate. It would be good to know that if your payment pattern shows that late payment is the exception rather than the rule, lenders might not give it too much weight. Late-payment tolerance is dependent on the lender in question, but many companies practice leniency. If you’re late once every 12 to 24 months and you can explain to the lender then make good on your payment, you can escape any negative repercussions. It’s not true that if you carry a balance on your credit cards you’re bound to get a higher credit score. Although the card companies would love to earn interest off your balance month-to-month, the credit bureaus just care about whether you’re paying your obligations within the deadline. You’ll get the same benefit credit-wise if you pay off your balance at the end of each month compared to carrying a small balance. The next important thing to manage is your credit utilization rates. Here’s how you check how good or bad you’re doing. Add up your aggregate available credit lines (include all the total amounts that lenders have given you the privilege to borrow). Add up the total amount of debts you incurred against these lines. Then divide the total credits you used over the total available lines of credits that you have and you’ll get your credit utilization rate. If it’s below 30% or even below 20%, give yourself a pat on the back. You’re doing a hell of a job looking good in the eyes of the three reporting credit agencies. Credit bureaus are particularly conscious of cases with high credit utilization rates that breach the 30% threshold. It indicates that you don’t manage your money well enough or you’re already having difficulty repaying your debts. One factor that goes in your favor when it comes to wise management of credit is a credit line increase. Unless you can’t control your impulse to go shopping, a credit line increase boosts your aggregate credit lines and can drive down your utilization rate. Conversely, a decrease in your credit line could adversely affect your utilization rate. You will have a higher utilization rate and the three reporting credit agencies would likely frown upon this. The third key is to make sure that you maintain a good mix of credit accounts at all times. Creditors want to see if you can pay on time, if you can manage your debts and if you can handle different types of credit accounts. Here’s how it goes: credit agencies would look at your mix of installment loans (mortgage, car loan or student loan) and revolving credit (credit cards). If they see that you can handle a reasonable mix of debt obligations, they will most likely lend to you. Effectively, your FICO scores stand to benefit from this. Your credit score should get a big hoist when you keep your good-standing accounts open for long periods of time. Your lenders and credit reporting agencies determine your creditworthiness by using the same thing as a road map: your credit history. Sure, you might say you have a perfect payment history and today you can even get a credit card without a credit history. But if that history is only six months long, lenders might still have second thoughts about giving their thumbs up to your account. There’s not enough basis to easily make a conclusion about your ability to meet your obligations. On the other hand, if your average good-standing account is ten years old and counting, that’s enough of a demonstration that you’re sensibly trustworthy. Do not close long-standing accounts even if you don’t use them often. Long-tenured accounts work wonders for your average length of credit history – a factor that affects your credit scores. Be intentional to use your available lines of credit a couple of times every year. This will keep them active and maintain your account in good standing. Finally, since the credit bureaus are watching how you manage multiple types of credit accounts, you want to be careful not to open too many accounts. So, ask yourself first if you really need that new account. Is it really necessary in relation to your purchases? If you are buying a house or a car or paying for college or even just buying a new garden sprinkler system, opening a line of credit seems logical. These are large-money events so you may be in need of standby credit. However, if you’re buying a new pair of earphones for $9.95 at your local sports shop, opening a new account to get 10% off might not be the best idea. Move with prudence when opening new accounts as you get older because a new account can negatively impact your average length of credit history. It may also knock off a few points from your current FICO score due to the influx of hard credit inquiry. These are but simple strategies, but if you follow them consistently over a period of time, you may ace a perfect credit score of 850. How long will it take you to boost your score up? The length of time it will take you to raise your score will likely depend on why your present score is what it is. If your score is low simply because you don’t have much credit history (maybe you’ve never used credit), you can raise your score in just a couple of months. In case you’re debt-ridden, you can raise your score faster if you pay down most of your debts. If you’ve somehow damaged your credit by missing payments or going through bankruptcy, it will take longer. A complete recovery on your credit score to bring it to your all-time high can take several years. The bottom line is this: it’s difficult to find a quick and easy way to “repair” or “fix” your credit. The length of time it takes to rebuild your credit history will depend on the severity of the financial difficulties that influenced your credit history. Think of it as a serious physical sickness that is undergoing a medical regimen – it could just take a few months, or it could require several years of steady commitment. 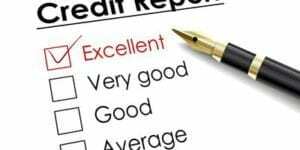 How long will my negative information appear on the credit report? Negative payment information (ex. Collections and late payments) will remain on the credit report for seven years. Other specific public record information, such as Chapter 7 bankruptcies and unpaid tax liens will remain on the report for up to 10 years. The impact of negative information tends to become less and less as the years go on. Serious delinquencies such as charge-offs or collections are harder to recover from compared to one or two missed payments. However, you can begin the process of improving your credit history as soon as possible and as quickly as possible through several ways. Obtaining and maintaining a good credit is a lot like taking care of your car. You have to check and maintain it with a consistent regularity. You must monitor your credit record. If you want a free annual report, click here. Federal law entitles you to receive a free report from each of the three major agencies once a year so, use it. ← What Are Market Sentiment Indicators And How To Use It In Your Trading?